The Emerald Coast is an exciting place to be during the fall of 2017 with activities that hold the attention of all age groups. Just because school is in session doesn’t mean you won’t see lots of visitors to our shores. Some school systems offer a fall break so expect to see families headed our way. Most school districts like those in Metro Atlanta, Houston, Dallas and Birmingham have a week long Thanksgiving Break, this year from November 20th to 24th. However, some school systems have a Fall Break in October, as well. For example, New Orleans schools will be out for October 19th and 20th and Nashville October 9th-13th. Savannah/ Chatham County has a long week end on October 9th as do the Birmingham schools. Let’s look at a handful of events that our fall visitors from Destin to Panama City Beach might enjoy during October and November. Mattie Kelly Cultural Arts Village presents the 22nd annual Fall Concerts in The Village located at Dugas Pavilion and Village Green in Destin, FL. This is a celebration of local bands and musicians. On October 5th at 7:00 pm, Steve Miller Tribute Band is featured. Gates open at 6:00 pm and you are encouraged to bring your chair, picnic, friends and enjoy the night. General Admission is $15. Gulf Place First Friday ArtWalk takes place each Friday through October. Come out to enjoy art and music from 4:00 to 7:00 pm. The Artists at Gulf Place and Gordie Hinds Gallery host in conjunction with the Artists of 30A. Participating South Walton art galleries stay open late to display their art. These events are free and open to the public. The 39th annual Destin Seafood Festival is held along the Destin harbor boardwalk October 6th-8th. It opens Friday from 4:00 – 10:00 pm, then continues Saturday from 10:00 am – 10:00 pm and Sunday,11:00 am – 4:00 pm. This three-day festival is filled with great seafood and live entertainment on the Destin Harbor. Free admission. For more information and updates visit destinseafoodfestival.com. 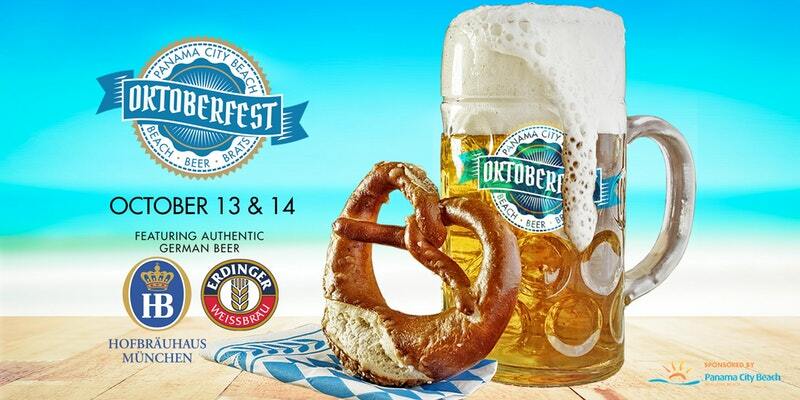 Oktoberfest in downtown Panama City is held on Saturday, October 7th from 2:00 to 6:00 pm. 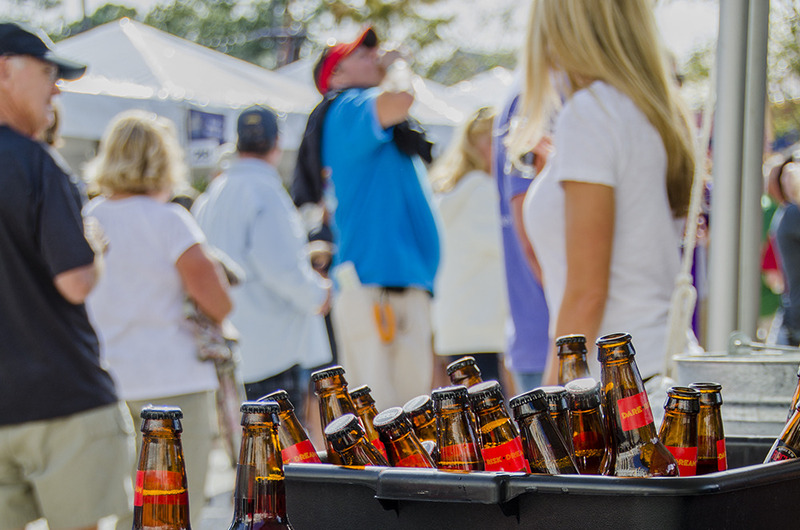 One of the highlights is the Craft beer tasting during the celebration along Harrison Avenue. October 9th-14th are the dates for the Walton County Fair. From Monday through Friday, the fair is from 5:00 – 10:00 pm, Saturday 12:00 – 10:00 pm. It takes place at the Fair Grounds in DeFuniak Springs. Exhibits at the fair include animal, art, agriculture, handicrafts, potted plants, photography, and canned foods divisions. Adults are $5, children (6-12) $3 and 5 & under are free. See Walton County Fair website for the schedule of events, rides, pricing, youth activities, contest entries and live entertainment. 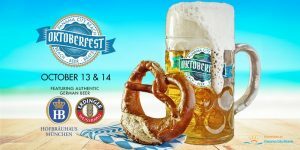 The Village of Baytowne Wharf in Sandestin Golf and Beach Resort presents the 10th annual Baytowne Wharf Beer Fest on October 13th and 14th with the Grand Tasting from 2:00 pm to 6:00 pm on the 14th. The event features specialty beers from around the nation available for sampling and savoring, including specialty, seasonal and not-yet-released beers. Click here for tickets and information. Baytowne Wednesday Night Concert Series takes place every Wednesday night from 7:00-9:00 pm at The Village of Baytowne Wharf in Sandestin Golf and Beach Resort. Various local and regional artists perform every week and it’s free and open to the public. The Harvest Wine & Food Festival begins Thursday, November 2nd, at the WaterColor Resort. 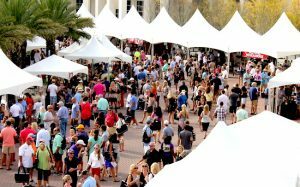 It is presented by Destin Charity Wine Auction Foundation and will provide patrons the opportunity to sip and savor some of the world’s finest wine and culinary selections. Ticket prices vary based upon event day and are on sale to the public online at www.dcwaf.org/tickets. Seeing Red Wine Festival with the annual Vintner’s Dinner at Bud& Alley’s begins its weekend events on Thursday, November 9th. You can enjoy four days of wine and culinary events in Seaside November 9th – 12th. Now in its 27th year, this year’s festivities include Bud & Alley’s Wine Dinner, the Gulf Coast to Table Dinner on Friday, the Festival Grand Tasting on Saturday, and a Celebration Of Bubbles Brunch on Sunday. Tickets are on sale NOW for the 27th annual SEASIDE Seeing Red Wine Festival. Seaside Strings Festival arrives Friday, November 10th at 3:00 pm at Ruskin Park in Seaside. The Seaside Institute presents concerts at various locations November 10th-12th. Seaside Strings is an annual chamber music festival that aims to provide musical performances, educational workshops and community outreach to the South Walton communities. Free admission is provided for Friday and Saturday concerts. Tickets on sale for the Grand Finale concert held on Sunday at the Seaside Chapel 3:00pm. $65.00 for Members/ $85.00 for Non-Members. The 8th annual Festival of Trees at Grand Boulevard kicks off Tuesday, November 21st from 4:00 pm to 6:00 pm. 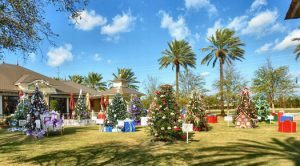 The festival will showcase twelve uniquely decorated Christmas Trees from area non-profits. The non-profit organizations are competing to win cash prizes including Best of Show and People’s Choice. The trees will be on display November 21st – December 25th and is open to the public to enjoy. Let’s hope our visitors, whether on Fall Break or just playing hooky, will take advantage of some of these seasonal events and activities.